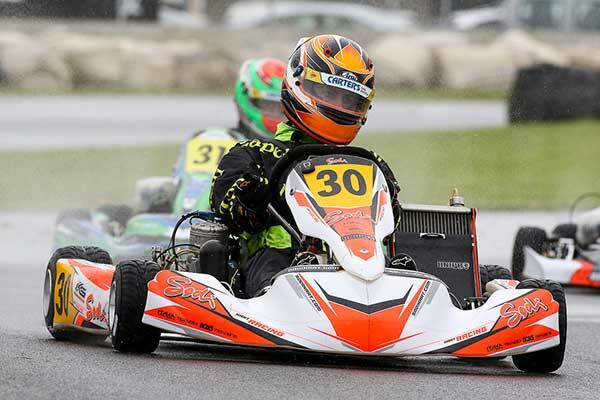 KartSport New Zealand’s annual North and South Island Sprint Kart Championships title meetings usually produces a fresh crop of class title winners. That was definitely the case at his year’s North Island meeting at Hamilton over the weekend. But not so much at the South Island one at Nelson. At the SsangYong North Island meeting at the KartSport Hamilton Club’s Agrisea Raceway adjacent the city’s international airport only three of the eight 2017 North Island titles went to established drivers, KZ2 to Matt Kinsman, Rotax Max Light to Dylan Drysdale (both from Auckland) and Rotax Max Heavy to Zach Zaloum from Hastings. 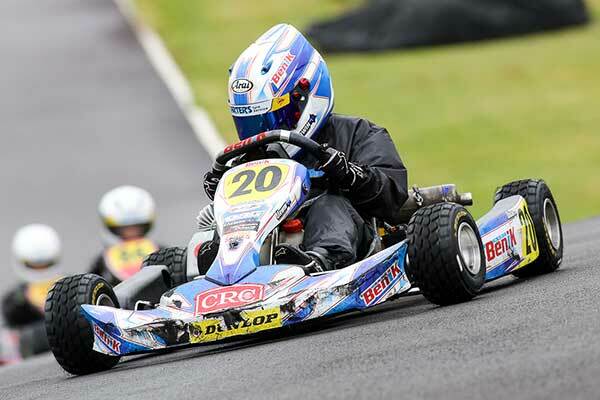 The other five went to up-and-comers Taylor Harte (DD2 and Jay Urwin (Cadet ROK) from Tauranga, Ryan Hancock (Vortex Mini ROK) from Cambridge, and Joshua Bethune (Junior Yamaha) and Ryan Crombie (Rotax Junior) from Auckland. In stark contrast the Mike Pero 2017 South Island meeting at the KartSport Nelson club’s The Hits Chocolate Velvet Raceway near Richmond was all about the status quo. Multi-time South Island champion Chris Cox from Rangiora added the 2017 Open class title to his list, while current Cadet ROK class ‘King’ Louis Sharp from Christchurch, the reigning NZ #1, and top local driver Matt Butchart, both successfully defended the South Island titles (Sharp Cadet ROK, Butchart Rotax Max Heavy, they first won in 2015. 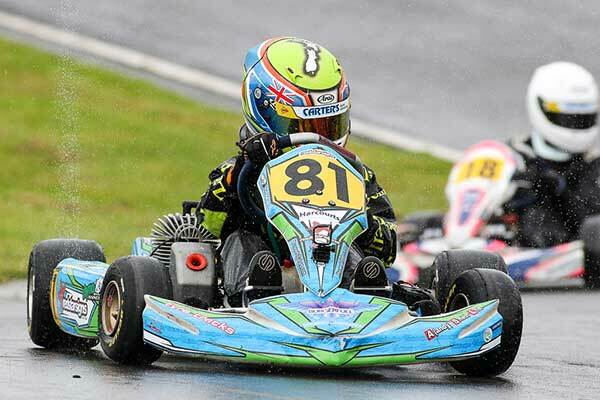 Two drivers, Christchurch’s Caleb Cross and Picton’s William Exton, also claimed two class titles apiece over the two days, Cross 125cc Rotax Max Light and 100cc Yamaha, Exton Rotax Junior and Junior 100cc Yamaha. 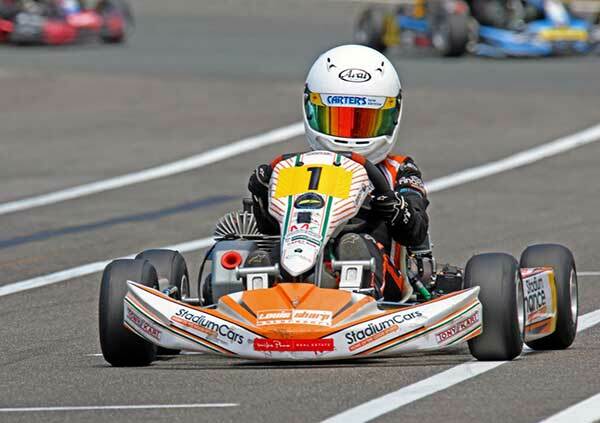 Finally, fresh back from representing New Zealand at the annual ROK Cup International meeting in Italy last weekend, Jacob Douglas from Christchurch was the other class winner at the Nelson meeting, adding the South Island Vortex Mini ROK class title to the New Zealand one he won at the 2017 KartSport NZ Sprint Nationals at Easter. Both meetings attracted strong entries with over 110 across eight classes at the North Island one and almost 80 across eight classes for the South Island one. 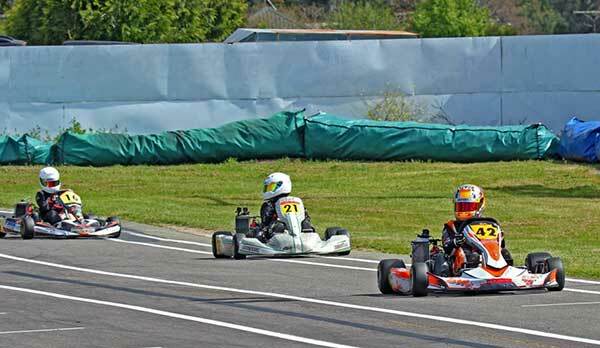 Each meeting was run over two days (Saturday and Sunday) but the formats were slightly different this year. 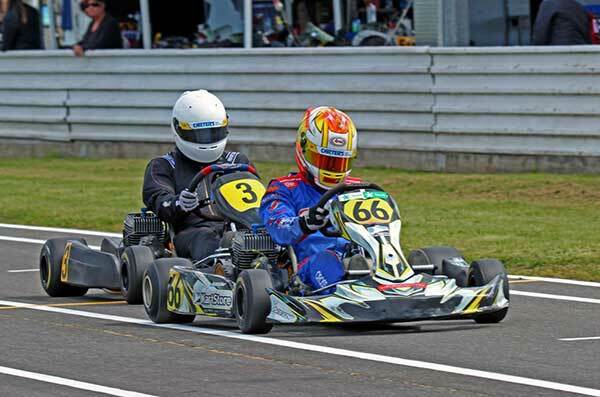 At the South Island title meeting the Nelson club is kept with tradition and ran qualifying, two heats and a Pre-Final and Final for four classes on Saturday and four on Sunday. For the North Island titles meeting the Hamilton club ran qualifying and heats for all eight classes on Saturday, and all eight pre-finals and finals on Sunday. 1. Chris Cox; 2. David Pinkerton; 3. Matt Butchart; 4. Simon Moore; 5. Jack Noble-Adams. 1. Caleb Cross; 2. Jarred Cleghorn; 3. Jack Noble-Adams; 4. Kevin Barker.